Amanda here.... I love making and giving handmade birthday cards. 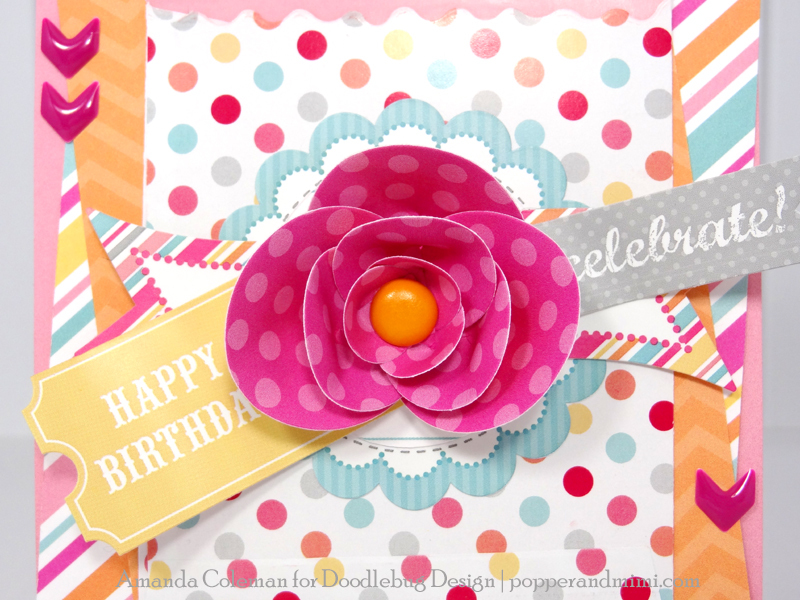 Using Doodlebug's Create-a-Card system makes it extra quick and easy. The colorful card bases are cut to size and come with coordinating envelopes. 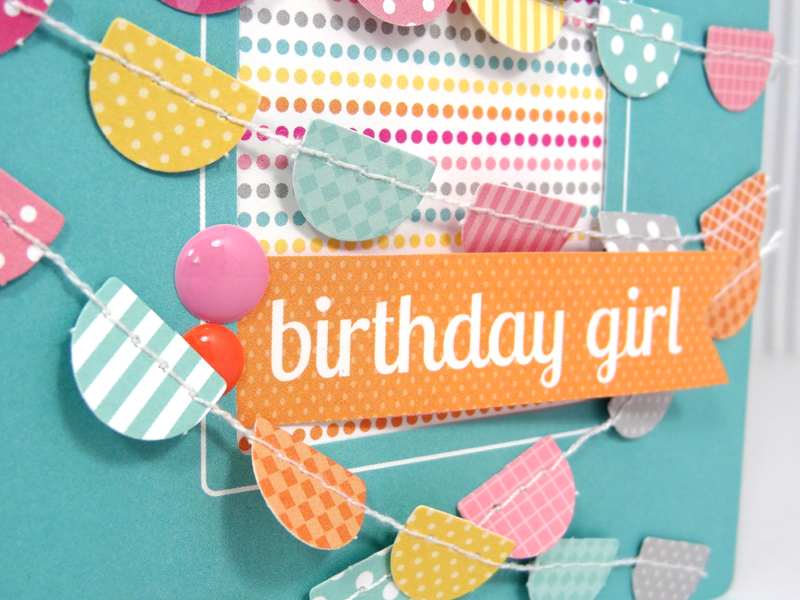 I paired the super darling Sugar Shoppe Collection with Create-a-Card to make some sweet birthday girl cards. 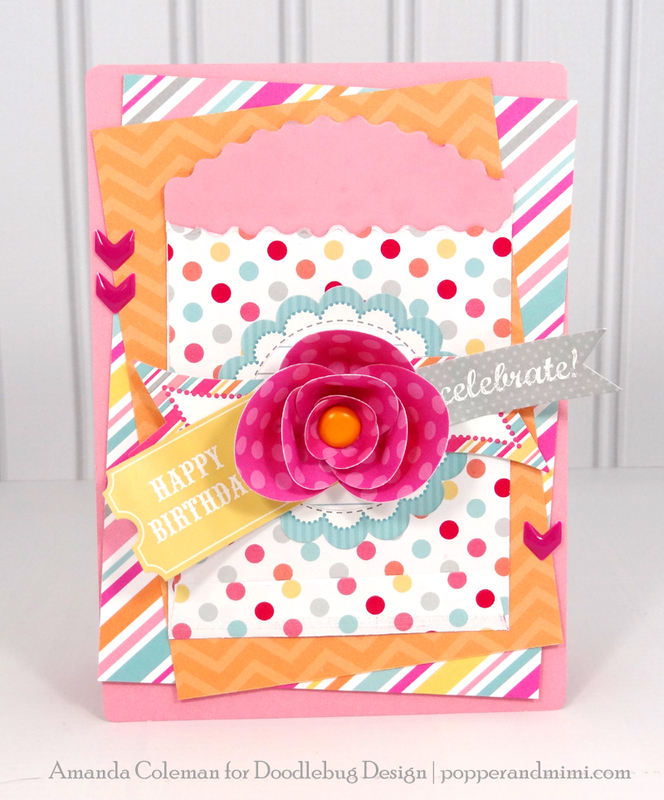 I added layer upon layer of patterned paper and stickers to this card, along with a treat bag. Leave the treat bag empty or tuck in a gift card or some cash. I die cut flower petals and assembled a flower, arranging the petals to make it similar to an orchid or violet. I absolutely love Doodlebug's stitched mini garlands! I simply cut sections of the garland and adhered them to the front of the card. It makes for a fun and easy design. I tucked the sentiment banner into the window and added a couple of shiny Sprinkles dots. 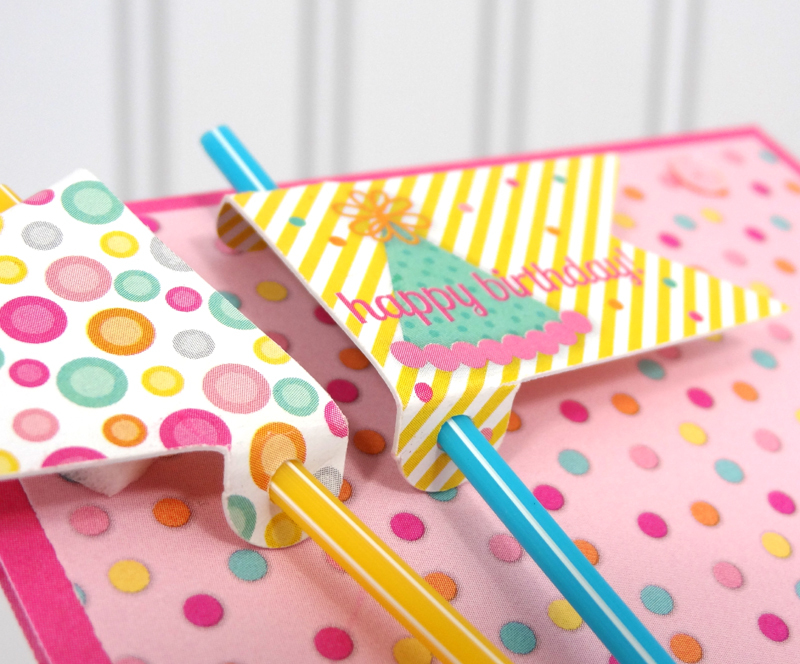 Pixie straws and flags are not just for cupcakes! 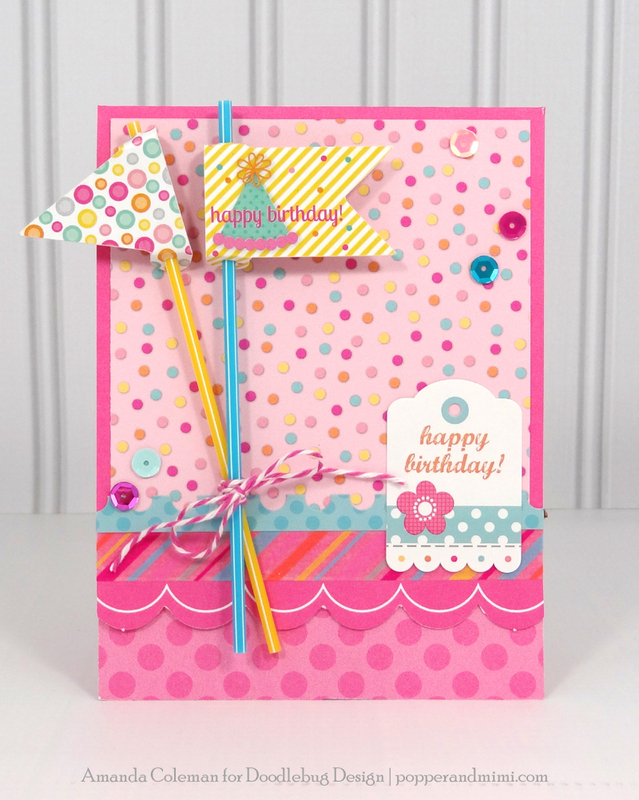 Use them to create custom embellishments for your cards. And be sure to break out your Doodlebug sequins to add some extra sparkle. I adhered the flags to the card with a double layer of foam squares to keep them in place. These are just awesome Amanda! I love the Create a card System!!!! These cards are so darling! I love the possibilities of this collection, all kinds of crafts to create! Pinned them all of course! FUN & FABULOUS cards Amanda!!! 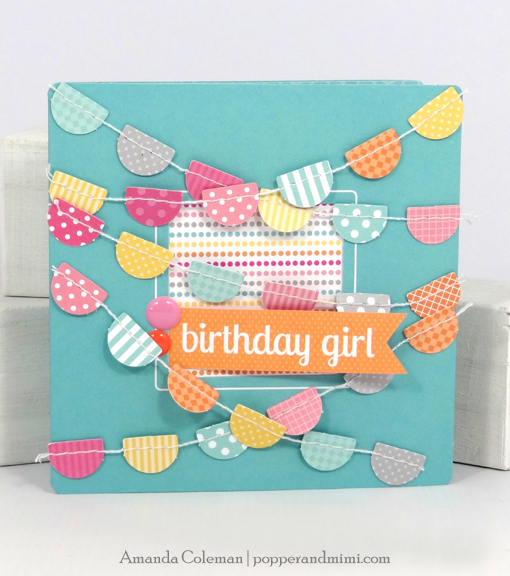 I love Amanda's cardmaking style and the great ideas she showed us!! WOW!! Great cards. Love how they go together. The banner card is so cute -I love banners! The flower card is so cute!! I love the little arrow stickers .... sometimes it is the little details that just make it great for me! The pixie straws are so cute! And once again it is the little details...LOVE the few little sprinkling of the sequins!!! So I totally went over to facebook and shared this cuteness with my friends!! Wonderful! Using the treat bag for the gift is cute and fun! I love how you covered the one card with the criss-crossed banners and you had me at flags and sequins on the third card!! Thanks for sharing and inspiring! I pinned these beautiful cards.